So you wanna make it to Cambridge? Well listen up, fellow knowledge-seeker, for this path is not for the faint-hearted. The journey to Cambridge is difficult and for the most part a lot of luck. 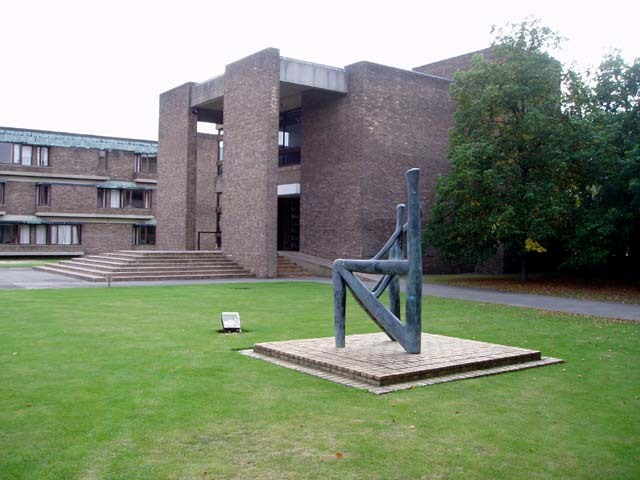 I will recount to you my experience being interviewed in Churchill College, University of Cambridge. Do not however, expect a guarantee that you will get into Cambridge. I only seek to explain to you my own understanding of what Cambridge wants from a prospective student, and this will differ between courses and colleges. For the most part though, please enjoy my story. Oh and honestly, I don’t fully recall the questions or my answers but I hope this article helps you in whatever way possible. Now, some background is probably necessary. I was studying A-Levels at KYUEM, taking the accelerated course (1 and a half years). I took Biology, Chemistry, Physics and Mathematics. In my COPA and UCAS application, I wrote my predicted grades were 4A*s. So, in my opinion, your grades are super duper important. They won’t even offer you an interview without substantial grades. Furthermore, another important facet about my interview is that I wasn’t offered an interview in Malaysia. Honestly, it felt like a slap in the face. At first. But, beggars can’t be choosers and I’m very grateful I was offered a place to study there. It’s also very likely that my interview differs greatly from those interviewed in Malaysia. With this article, I hope to help all those students given the “honour” (how you interpret this is up to you) to be interviewed in Cambridge. On another note, something I feel is quite important is the pattern of questioning. For the most part, each question started off with the interviewer checking how well we grasp a certain topic. They do this by asking easy questions then hard questions about the topic. Then, the really important part comes. They’ll ask something related to the topic but out of the syllabus. Some advanced reading beforehand may be helpful but it is unnecessary. In fact, you can get by with just your syllabus knowledge. If you get stuck, then you can just say you’re not sure. The interviewer will give tips to guide you to the answer. What they really want to see is your critical thinking skills; how well you use the info given and what you’ve learnt before to find a possible solution to their question. I arrived at Churchill College at around 8am (even though my interview was at 9, you know nerves and all) on the day of the interview. I met many other candidates there, all nervous wrecks like me. Some stayed at the college for the night before while others just made it this morning. Some of them even had to take some tests along with their interviews (Math people watch out, this means you). I was brought to my Interview Room by a first-year Churchill student, where I waited outside for a very long 15 minutes before my interview started. At 9.00am, I knocked on the door and meekly stepped into the room, greeting my assessors. There were two of them inside. I saw straight through their friendly smiles. What I really saw was a determination to gauge my level of understanding and critical thinking (more like “Let’s see what this bub is made of”). Hands shaking, I nervously shook their hands and asked if I could have a seat. They complied and I felt my bum shaking the chair itself (I have a rather big bum unfortunately). The first thing they mentioned after all that was, “This interview is going to be an academic one. We will ask you questions based on the A-Level syllabus you’ve already covered. If you haven’t learned a topic yet, please tell us. Also, if you are unsure about our questions, you may ask us to repeat ourselves. Is that clear?” I nodded and mumbled a rather silent “yes”. And so, it begins! For the first question, my interviewer asked me to write down what compounds does hydrogen form with all the elements in Period 2. Relatively easy, as we’ve already learnt about the compounds formed by hydrogen with Period 3 elements. These were LiH, BeH2, BH3 or B2H6, CH4, NH3, H20 and HF. I might have mumbled quite a bit (the interviewer kept asking me to repeat myself) but at least I made logical arguments (which is important). Second, what were the difference in electronegativities between the 2 elements of these hydrogen compounds? I just remembered how the Period 3 hydrogen compounds worked and found myself facing this question rather comfortably. Next, they asked me to explain which of these compounds were covalent and which were ionic. This was simply an extension of the previous question. As you should know, the difference in electronegativities play an important role in determining the covalent and ionic characteristics. Also, the relative polarities and polarising power of the elements had to be considered. For my next question, they asked me to compare and discuss the boiling points of CH4, NH3, H20 and HF. They wanted me to explain why H20’s boiling point is the highest among these compounds. I kind of flapped at this question because I forgot to mention the key point they were looking for. That made me worried. For the next question, they asked me about benzene. I talked about its delocalized system of electrons and the bond lengths of C-C, comparing those in benzene with C-C single and double bonds. Man, was I thankful this came out in class before. And then comes the tough one. By relating the knowledge of benzene’s structure and the properties of boron and nitrogen, I was asked to predict the characteristics of a boron nitride compound which had the same shape as benzene. They asked me to compare this compound to that of benzene; such as its relative electronegativity and bond length. I think I managed to answer this one, but with quite a lot of help from the interviewers. My interview ended at 9.30 and what a relief that was. I felt I could’ve done better, could’ve been more logical, and could’ve been more confident in answering my questions. But what’s done is done so I said thank you to the interviewers and quickly stepped out of the room. After that gruelling first session, I made my way back to the main hall. There, I was once again escorted to my second interview room at 9.45 am. After the terror and anxiety of my first interview, I felt more relaxed and confident for my second. I thought to myself, “Meh, there’s nothing to lose. So I’ll just be less reserved and more outspoken!” With this renewed sense of self-belief, I entered the room at 10.00am and greeted my interviewers with a big smile. Their first question was about NMR spectroscopy. I told them that I hadn’t learned about it yet, so they gave me some basic information about reading NMR graphs. Personally, I think I did really well in this section of my interview because I thought it would’ve been difficult due to my lack of prior knowledge. I was given some 3D models of organic structures (which were isotopes of each other) and some NMR graphs. They then asked me to match the models to the graphs. I managed to do this successfully, getting all of them correct. Then, I was asked to suggest a chemical formula for the structures and figure out the structural isomers. Then they asked me to predict the composition of an unknown substance based on those isomers and the NMR graph provided. It wasn’t too hard as I saw the pattern to reading these graphs after the earlier introduction they gave me. I concluded that the shape had to be a square and the interviewers told me I was right. I can’t quite remember it now, but I think I answered a sphere, which was wrong. Then, they asked me to rethink and I think I managed to draw out the right shape, but I forgot what it was called. So, the interviewer told me what shape it was and I was like “Ohhhh, right right. It was on the tip of my tongue. Thank you!” Then he concluded our interview and I was thanking them and walked out the room satisfied. Amzar Muzani is aspiring to be a scientist. Studying Natural Sciences at the University of Cambridge under Yayasan Khazanah Scholarship, he hopes to bring to life the love for science in the nation’s youth. He is often found to be quiet but really enjoys spending time with his close friends.